Huge grotesque figures fill entire walls of houses and dominate a whole area. Area-wide patterns and striking ornaments embellish the gray of the streets. Playful or provocative images put exclamation and question marks in the facades. Tiny males populate street signs. Knitted scarves warm freezing trees. Stickers stick pay-phones, gutters and traffic lights. Screaming colors and shapes transform benches, trash cans, and mailboxes in objects from another world. Street art continues to surprise us again and again. And if not, the street art has managed a few. It has beamed us for a moment, out- from everyday sights and urban monotony. Just drop by and take a look. Much of what had just been there, disappear the next moment. Often overpainted, or demolished. Or pointless destroyed. 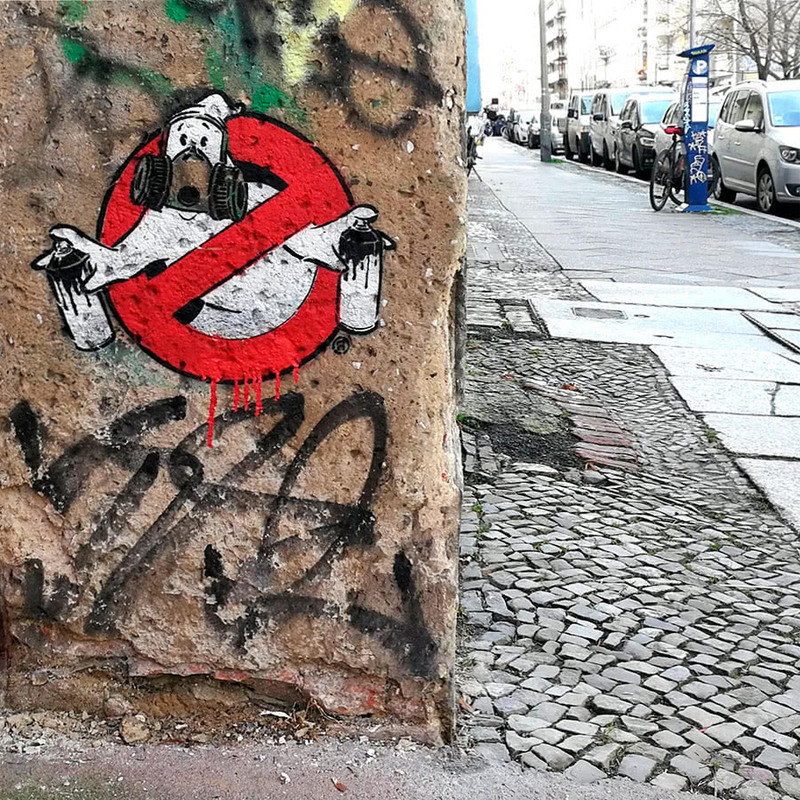 No need to worry: Street art is constantly developing. Street art lives and dies like each other creatures here. Sometimes just a little faster. The design is first brought to paper and then cut out. Wallpapered on facades, trash, street lamps or on stairs- that’s when cut out starts life as street art. It jumps up stages. Holds on to edge. Wraps around a mast. Crawling out of a hole in the masonry. Guarded and embellished an unpleasant place. Until the rain and wind, lose it from its base. This remains as a piece of dedicated urban architecture – till the game reloaded. And the idea and purpose of a new connection entry. Large or very small, attention or understatement, painted, labeled or printed – stickers come in many forms. They stick wherever they may hold. Sometimes they even talk to each other. First, it means producing the template, then you start spraying. Stencils can be sprayed in one or more colors or painted on walls. Most of them are indeed ” woodcut ” but photorealistic. The template is producing quickly and in mass – so Stencils are also often used for political statements. Street art 3D is understood something differently. Either: Large installations or three-dimensional Tape Art, which stretches from the walls and conquers the entire space. Small objects that hide almost in public space. Whoever discovers them, becomes a Gulliver in a strange dwarf world. Or: Two-dimensional images that create a spatial impression with optical means. Photo Realistic like a trompe l’oeil. Open chasms beneath the feet. A look grants the surface. Like place things that are not there. 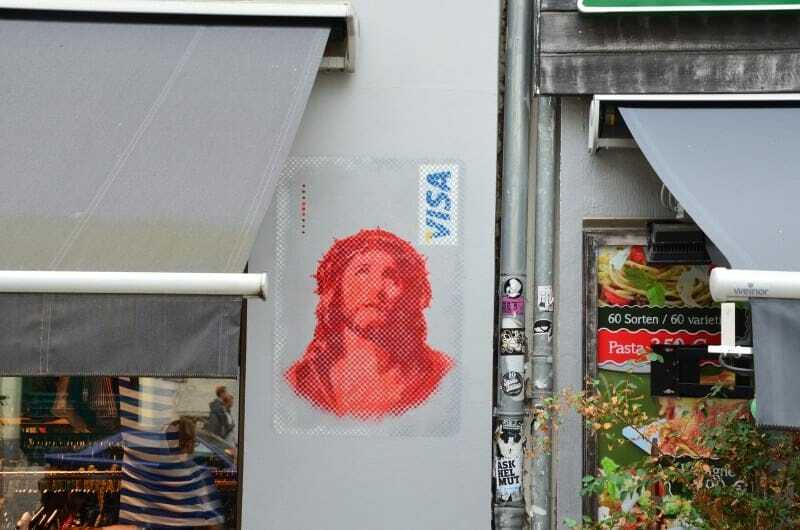 Slava Ostap is since 1995 in Berlin and creates Streetart – but not only here. His talent is found in Tape art, Type objects in 3D, Blanks (Cutouts), Stencil, Graffiti and much more. He also does commercial art and even gives Tape art workshop in Germany or elsewhere. More to be found, here online or on the street outside. Have fun to explore!